ACP SPORT New Products !! 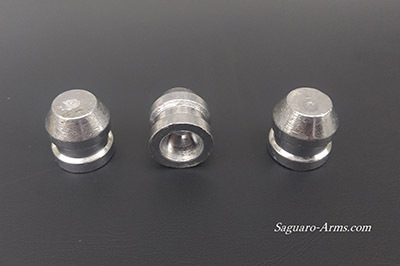 I would like to introduce you two new products of ACP-Sport company known for the production of excellent quality round balls and bullets for the BP guns. The first one is a .72 bullet, designed to be used with a 2-gauge caliber shotgun and .72 Safari-type Exprss. The range of bullets for this type of guns is rather poor, limited to smooth ones, without grooves. Our Minie bullets is equipped with a very thick and deep lubrication groove so you can fire dozens of shots without cleaning the barrel. The second important advantage is the bullet perfectly suits the barrel diameter and the length is equal to the diameter of the barrel, which gives us maximum accuracy even from a smoothbore or with very slow thread.